Are you looking for a quick guide to tell you more about the implant process? Are you wondering which steps are involved? Youʼve come to the right place. Sure we could get technical when answering these questions, but youʼd probably be falling asleep on your keyboard because of the extensive dental verbiage. Weʼll spare you. Instead, weʼll give you a general overview of the dental implant procedure— a step-by-step guide for patients. Just keep in mind that the length of the treatment period will vary great- ly—no two patients are alike when it comes to dental implants. 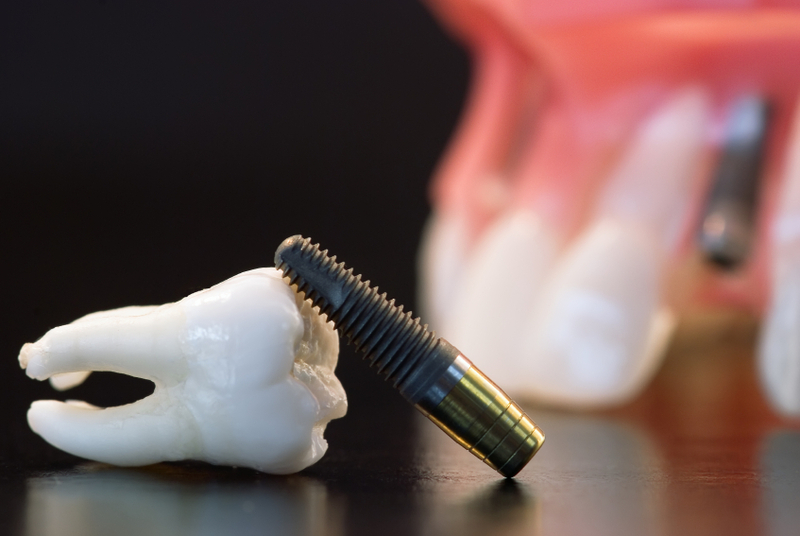 Why are so many steps involved in the implant process? Why canʼt it just be as quick as getting a cavity filled? Why do you have to wait so long for the final implant to be placed? The fact that there are three components might help you better understand why three steps are generally needed for any implant procedure (with the exception of “immediate implants” placed on the same day). Now weʼll move onto the actual steps involved of getting an implant. Itʼs important to know that several techniques have been developed throughout the years to provide more options (immediate implants, mini dental implants, etc)— weʼll briefly talk about one stage and two stage implant surgery next. However, even though there are several techniques used in implant cases, the previous three steps remain fairly the same or similar. So what are one stage and two stage implants anyway? 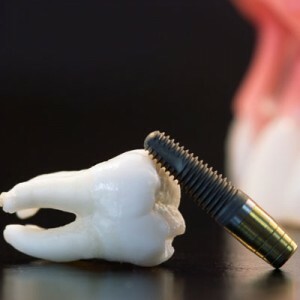 As you can probably figure out, there are more steps involved throughout the two stage implant process versus one stage. For one stage implants, a healing abutment is placed on the same day the implant is placed. This abutment sits above the gumline. On the other hand, with the two stage implant process, the implant gets completely covered on the day the implant is placed. Then, about 3-6 months after the day of surgery, a second surgery is needed in order to expose the implant and to place the healing abutment. Your implant dentist is trained and qualified to determine if you need a one stage or a two stage implant (or any other implant technique suitable for your case). He or she will make this decision based on the quality and the amount of bone you have when the first surgery occurs (a bone graft may be necessary if you donʼt have enough bone). Dr. Rayek has been placing dental implants since early on in his career. 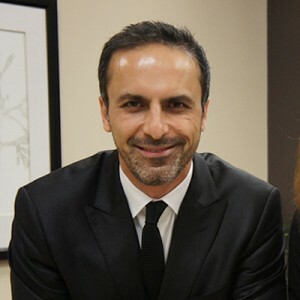 He keeps current with the latest advancements in the implant industry by attending continuing education courses. This gives Dr. Rayek a way to enhance his skills, too. Actually, he was mentored by one of the pioneers of dental implants in the Washington-metro area for a three-year period. This excellent opportunity allowed him to advance his implant skills. Since his mentorship, Dr. Rayek has placed hundreds of dental implants and restored many more implants with the highest levels of patient satisfaction. To learn more about Dr. Rayek, please visit his webpage here. If you live in or near Fairfax, VA and youʼd like to schedule an implant consultation, call Smiles at Fairfax Corner today at (703) 997-0928. Our contact information can also be found here.